Q:Can I order a sample? I'm trying to decide which would look and work best. 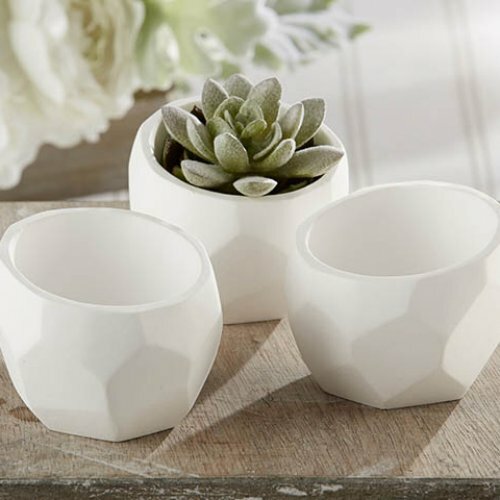 Whether your wedding theme is modern, beachy, or shabby chic, these geometric white planters are a must-have. Its empty bowl can be filled with succulents, small plants, or candles for an attractive décor accessory during the event. Or try adding candy and treats, and then wrapping up in clear cellophane tied with a pretty ribbon for a special favor for guests!